The attorneys at Miller & Zois have handled literally hundreds of uninsured motorist cases. Our firm has been instrumental in shaping Maryland uninsured motorist law in Maryland's appellate courts. We have addressed so many different uninsured motorist issues our firm's 14 year history. These are the most common questions victims frequently ask. When do I have an uninsured motorist claim? How is uninsured defined under Maryland law? What damages can I recover from my insurance company? Can I just submit my claim to my insurance company and let them sort it out? 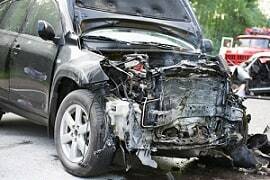 Can I settle with the other at-fault driver and make an uninsured motorist claim? Do I have to give the insurance company a recorded statement or a medical exam to bring a claim? I have a workers' compensation case, too. Can I bring a UM claim? Do the insurance policies stack on top of each other? Do I need to be in my vehicle to be eligible for uninsured motorist benefits? What if the insurance company disagrees with me about how much my case is worth? Do I have to sue my insurance company? Do you need a lawyer to bring an uninsured motorist claim? There are two scenarios where you can bring an uninsured motorist claim. First, if the other driver has no insurance and you have suffered physical injury (or property damage). Second, if the other driver has inadequate insurance which means that you believe your claim is more than the at-fault driver's insurance limits. The term uninsured has a broad meaning under Maryland law. It includes phantom vehicle or hit and run accidents if the defendant has sovereign immunity, insolvent insurance companies, or the at-fault insurance company disclaims coverage because of non-permissive use of the vehicle or because the driver disappeared. In most cases, you will be able to find uninsured motorist coverage in Maryland if there is not an insurance company to stand up for the at-fault driver for whatever that reason might be. No. You must first submit a claim to the at-fault driver's insurance. It is their obligation to pay all of your damages up to their driver's insurance limits. If the at-fault driver's insurance company tenders those limits and you still believe you are entitled to more money either for your injuries or your property damage, you then have an uninsured (we call it underinsured) motorist claim. The answer is no and all of this gets a little tricky. First, if you settle for less than the insurance policy limits, by definition you have no uninsured or underinsured motorist claim. But to take the policy limits from the insurance company, you have to follow some slightly complicated Maryland legal procedure. Under Maryland Insurance Code § 19-511, there are procedures that must be strictly followed before you settle a case that allows you to continue to pursue your underinsured motorist claim. Plaintiffs' lawyers call this the “pay to play” statute. Under this law, after the at-fault offers the policy limits, the uninsured motorist carrier gets 60 days to "consent" to acceptance of the offer. If the carrier does not agree to the settlement, then it must pay the amount of the offer to their own insured/victim. Raise your hand if that makes sense to you. If you not an accident attorney who regularly handles these cases, it seems crazy. Why would your insurance company choose to pay your claim against the at-fault driver? You don't need to understand the underlying rationale. But the short version is that it can eventually get that money back, and it also gives the insurance company some tactical advantages when defending the underinsured motorist claim. What you do need to understand is you must comply with the letter of this statute, or you are not going to be able to bring an underinsured motorist claim after you settle your case with the at-fault driver. The answer to this question is tricky? The best answer is "probably not" because this is one of those "Yes, the policy language says we do but it is not a requirement to bring the claim under Maryland law" type issues. We think a plaintiff would win if these issues were brought to the Maryland Court of Appeals. Should you take this chance? Unless there was some unbelievably compelling reason, the answer is no. But these are the kind of issues that are foolish to tackle without an attorney who knows where the minefields are. What if the insurance company disagrees about how much my case is worth? This is exactly what 95% of our uninsured motorist cases are about: a disagreement over what the claim is worth. The insurance company almost always greatly undervalues serious injury cases before a lawsuit is filed. In what is a bad law, the uninsured motorist carrier in Maryland gets a dollar-for-dollar set off of its liability by deducting all paid workers' compensation benefits. You can find this draconian law in Section 19-513(e) of the Maryland Insurance Law. In back-to-back questions, we highlight two significant weaknesses of Maryland law. While Maryland law does allow stacking in certain cases when the insured has more than one insurance policy, it does not in the classic case we face 98% of the time. The best way to explain this is by example. If the at-fault driver has a $500,000 policy and you have a $1,000,000 policy, the most you can get from your uninsured motorist carrier is $500,000. So your maximum recovery is $1 million not $1.5 million. So the amount of coverage is calculated by subtracting the underlying policy. The law in many other states is different. We field calls from lawyers in other states who are representing Maryland drivers asking us to explain Maryland uninsured motorist law and they are stunned to hear that we can't stack the policies on top of each other. But the law in this area is very well settled. While there are some exceptions, the answer is no. So if you are driving your friend's car and that vehicle has less uninsured motorist coverage than you have, you can tap into your insurance. The law is designed to provide protection when you are smart enough to get more insurance coverage than the other driver. Do I have to sue my insurance company to get UM benefits? You can get a judgment against the at-fault driver and then get the uninsured motorist carrier to pick up the difference even if the UM carrier is not a defendant at trial. But they have to be aware of the lawsuit and they can make the choice to intervene in the case. In some instances,severe injury or wrongful death claims, there are a few hurdles you have to climb with care because the law governing these cases is somewhat involved. 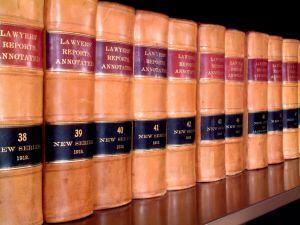 Our law firm is very familiar with the issues you face in these claims. If you want to discuss your accident case with an experienced Maryland trial attorney, call 800-553-8082 or get a free on-line consultation. Single vehicle crashes: Can you make a UM claim in these cases? News Article on one Miller & Zois UM victory in Baltimore City where the insurance company refused to pay their policy limits.